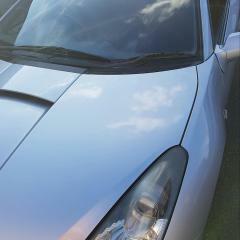 I have recently just joined this forum because I have a celica 190 2001 and I would like to knock up the BHP. Ive heard this thing called remapping, would anyone recommend this? Or is I better off going for a chip to increase my BHP? It isn't possible to remap the standard ecu, you'd be looking for stand alone system, something like an apexi power fc, around £700 for the ecu plus another £300 ontop for mapping it. You won't see alot of power gain either. Exhaust system, decent air filter and I think people recommend a set of high lift cams for the 190 model. after that your really looking at super or turbo charging it. As stock you cannot remap. Trying to look for any extra hp on an N/A will cost you very dearly with minimal results. Remember the 1.8 as it stands is already maxed out by Toyota. Even TRD and M-sport version could only find 10 hp more with considerable cost. Only other way to go is FI by either SC or TC. Stage 2 cams do not release much more hp, only smooth out the power from 3000 to 6200 before lift comes in making the drive easier. Yep, all as above really. 189bhp out of a 1.8 is damn good going anyway especially when you consider it doesn't have forced induction. Over 100bhp per litre - there are a large number of past supercars that don't even match that! !